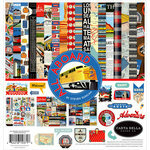 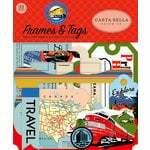 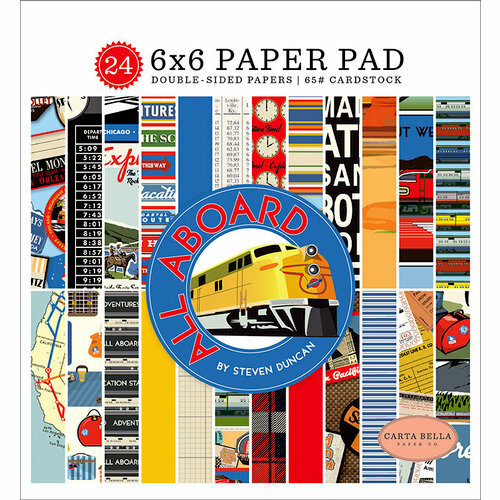 Be the engineer of your paper craft projects with the All Aboard Collection 6" x 6" Paper Pad by Carta Bella Paper. 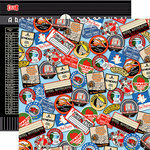 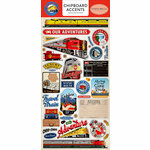 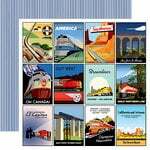 Included in the package are 24 double sided pattern papers featuring patterns including train and travel themed images, stripes, clocks, luggage and more. 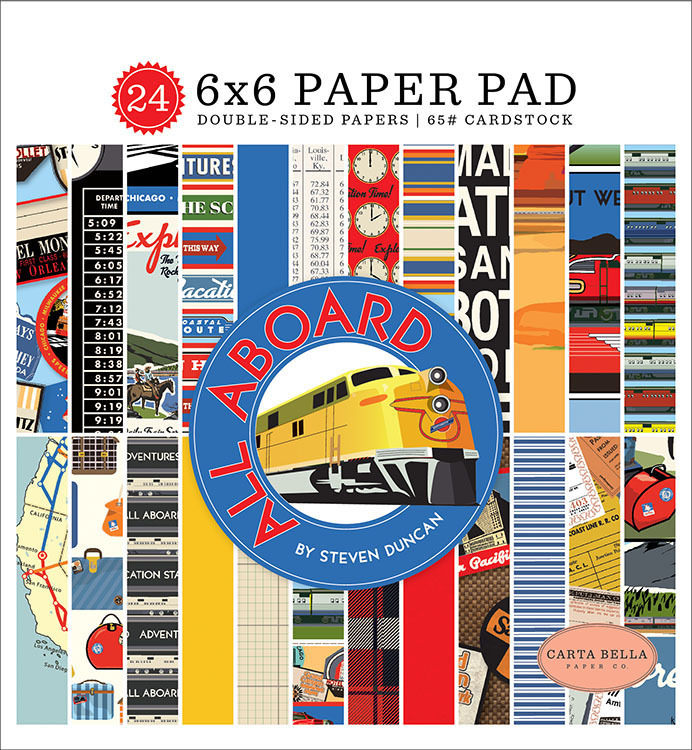 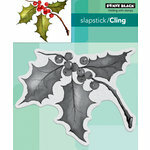 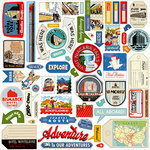 The paper are designed by Steven Duncan and are made in the USA.